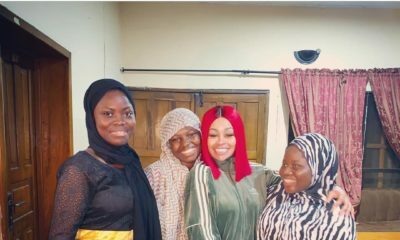 Did You Know Dencia is Also a Designer? See Her Rock One of her Fab Pieces! Whether she’s stepping out a singer, entrepreneur or designer, Dencia always makes a fashion statement. 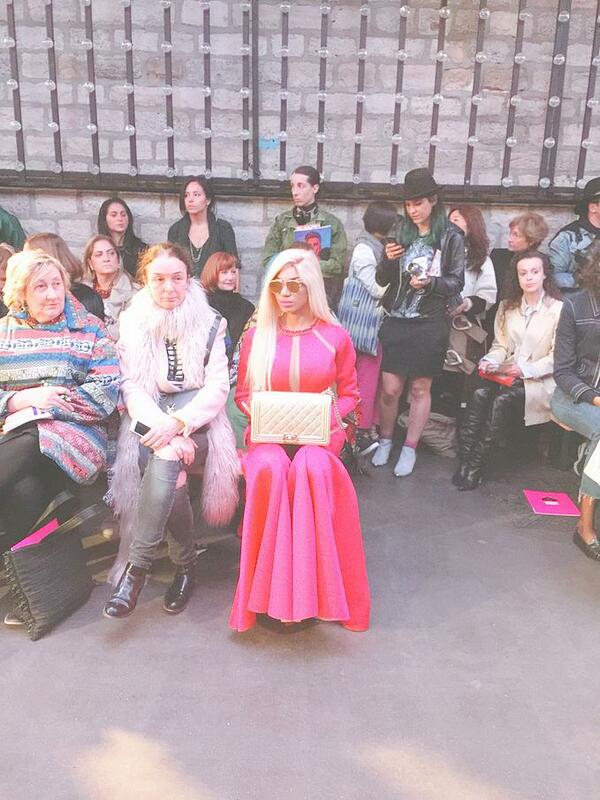 The Cameroonian pop singer and CEO of her Whitenicious skincare line recently attended the Manish Arora Spring/Summer 2016 fashion show in in Paris. To attend she wore a piece she designed herself – a Body by Dencia pink wide-leg 60s inspired body suit. The jumpsuit features exaggerated wide-legs, floral detailing around the waist, sheer inserts near the neckline and a ruffle detail neck. We are actually in love with the way it fits her. According to the singer, “My jumpsuits usually take 4hrs, but it took 3 days to make this one. The flowers are everything in real life.” It looks like the star has some serious skill. She completed her look with a Chanel Boy bag and Christian Dior sunglasses. See more images below and let us know what you think of her outfit. Should she launch a clothing label? BN Celebrity Weddings: DJ Xclusive & Tinuke’s Traditional – 1st Official Photos! I love it and I want that outfit it is everything.Dencia is very talented and hard working like who is this woman?who encourages her this much?i see how she gets dragged and insulted but she just keeps going further and keeps getting better and better.She is the epitome of living your life by your own rules she just keeps winning. lmaooooo!!!! abi what kind fashion is this? Lol! Same thing I thought. 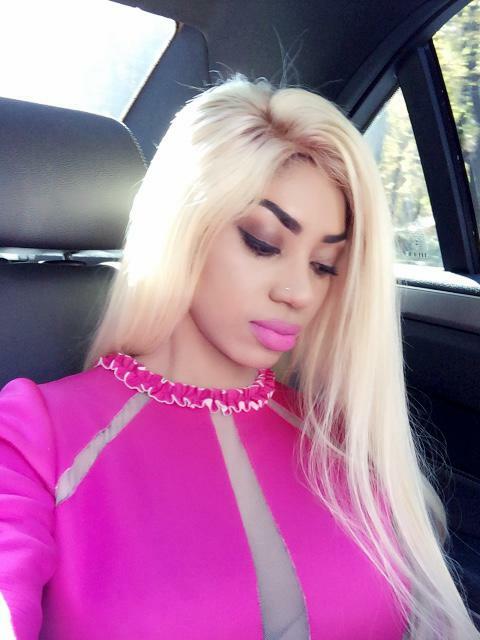 I suspect she’s Dencia. What kind of fashion show is this? It looks like they’re all waiting for the bus at the bus top. LOL! I was thinking the same thing. But…. You people don’t play oh. Ah ah?! See how you promptly put two and two together, identifying this design in that post from 3 months ago… BN’ers don’t miss a trick, mannnnnnnn!! And yes, the jumpsuits are uncannily similar if there’s a design claim being made… Plus, that post on Nicolas Jebran’s collection – how did I miss it? Stunning work! ?? 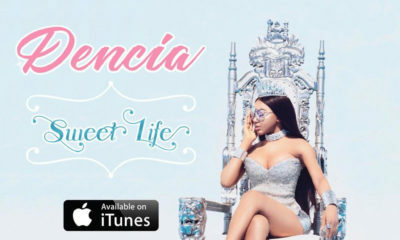 WATCH Dencia’s Official Music Video for “Sweet Life” on BN!